The popular North Shore community of Lynn Valley is filled with houses and condos to suit any buyer. The neighbourhood is conveniently located in North Vancouver, just off Highway 1. It extends north, to the base of Mount Fromme, to the area also known as Upper Lynn. There is a strong sense of community pride in Lynn Valley and the residents are relaxed and friendly. The West Coast lifestyle is enjoyed by all, including non-residents who frequent the hiking and biking trails of Lynn Canyon. Read more about Lynn Valley homes or view all Lynn Valley real estate listings below! 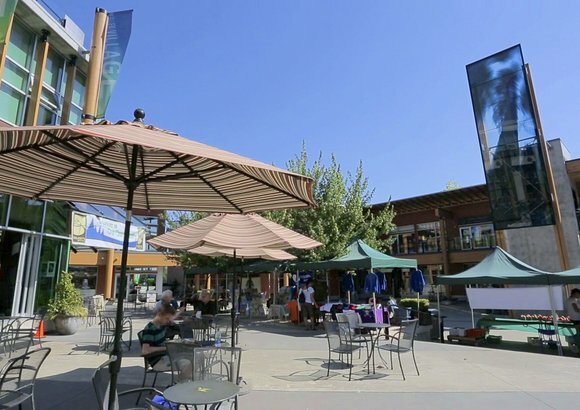 Lynn Valley has grown in popularity over the last 10 to 15 years, with an influx of new construction and new ammenities, proving it is one of North Vancouver's premium residential areas. The price of Lynn Valley homes and condos have also consistently been on the rise, making Lynn Valley real estate a solid investment. The area offers a great entry-level housing market, which always promotes turnover and growth by way of upsizing. First time home buyers who purchase property here, plan to stay in this great family oriented community for many years to come. Currently, the community of Lynn Valley is only outranked by Lower Lonsdale and Central Lonsdale when it comes to the number of homes sold in North Vancouver. Outdoor recreation is at its finest in Lynn Valley, which is one of the many reasons residents love to call this area home. 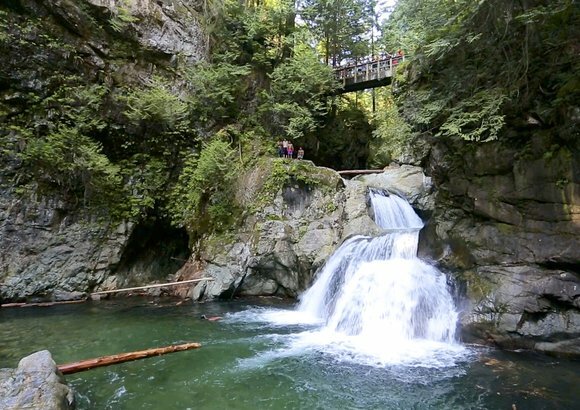 Lynn Valley is especially known for its supernatural surroundings like Lynn Canyon Park, which is home to the Lynn Canyon Suspension Bridge, Twin Falls, the 30 Foot Pool, and the Pipe Bridge. 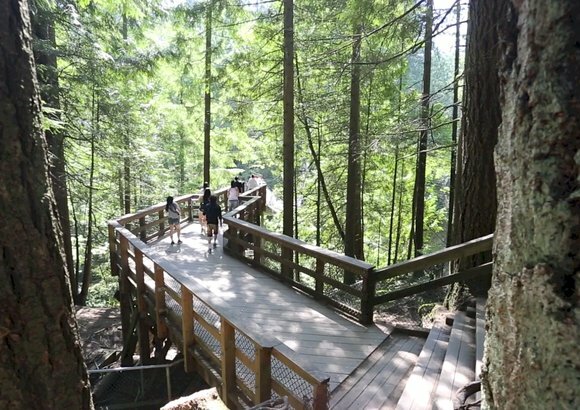 The trail system within Lynn Canyon Park also branches out and connects with the Baden Powell Trail, Lynn Headwaters, the Seymour Demonstration Forest, Rice Lake and the Lower Seymour Conservation Reserve (L.S.C.R). Reportedly, Lynn Valley is home to the tallest species (ever) of Douglas Fir. Lynn Headwaters is very magical, with hiking and outdoor recreation for all. Meander along the gradual terrain and listen to the roar of the river, or seek out the more moderate hikes such as the Lynn Loop or Cedar Mills Trails. If you fancy more challenging terrain, check out Lynn Peak, The Hanes Valley Viking Route, or in the summer months, take on the Lynn Lake Route. Please don't forget to take the precautionary measures of a responsible hiker. Mt. 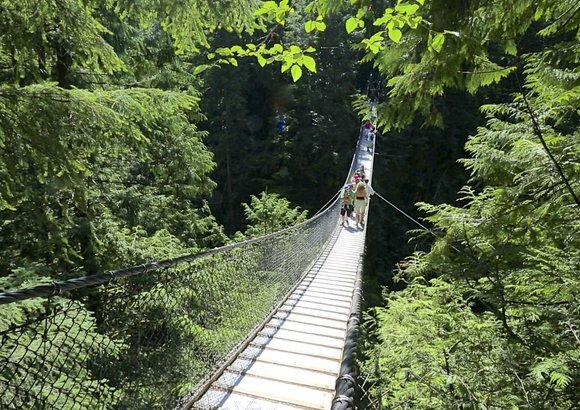 Fromme is another very well-known destination for travellers from around the globe. At the top of Mountain Highway, you will find yourself at the base of Mt. Fromme, which once served as the original access road up the back side of Grouse Mountain. The old Mountain Highway is still used today, and has two sets of trail gates to regulate traffic. One gate is at the end of the residential area off Mountain Highway (at Borthwick Road), and the other is located at the watershed where bike riders have a pickup and drop off turnaround. The well maintained gravel road then switchbacks up Mt. Fromme to an elevation gain of 1185 feet. Here you will find some of the most challenging and finest mountain biking trails in the world. It's astonishing the number of locals who pitch in and devote their time to maintaining the trail systems — from the local bike shops and volunteers, to the North Shore Mountain Biking Association. Without them, it simply wouldn't be possible to sustain the trails in an ecologically responsible manner. NSMBA runs a successful Trail Adoption Plan (TAP), and always welcomes supporters. Local resident and mountain biking filmmaker Todd Fiander, aka 'Digger,' is also a huge contributor to the upkeep and sport on the North Shore. Todd has been working diligently and volunteering his time for decades, maintaining the trail systems. Year after year, riders have been pushed to new extremes to conquer new (natural) terrain transitions and stunts. Thanks, Digs! 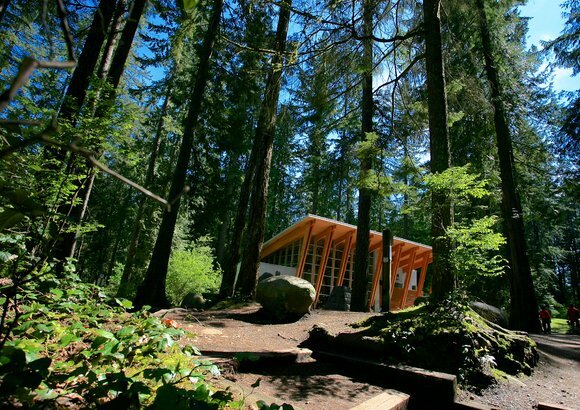 Not only does Lynn Valley have many amazing places to explore, but it also has the amenities to match. From the Black Bear Neighbourhood Pub to the Maple Leaf Garden Centre, Lynn Valley has everything home owners need. 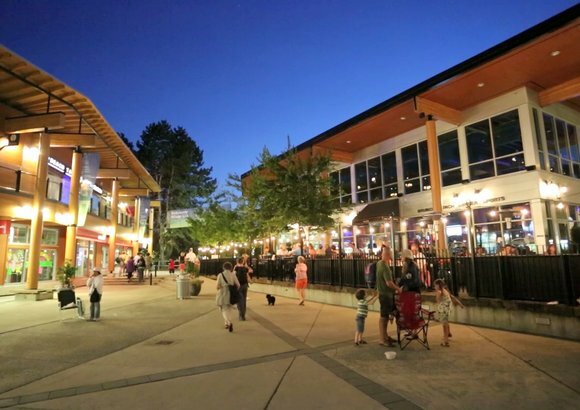 Lynn Valley Village is the newest pedestrian-only village on the North Shore, and is located at Mountain Highway and Lynn Valley Road. Not only does this popular meeting place host community events, but it is also home to the popular Live in Lynn Valley summer concert series. Anchored by the new North Vancouver Public Library, many retailers here are environmentally conscious, which reflects the lifestyle of the community. You will find many great shops and services, including the amazing floral designs of Posy, the family-owned and operated Delany’s Coffee House, the inspirational North Shore Elements YYoga studio and the Noorish Market, offering heathly, organic food options (just to name a few). One of the newest additions, Browns Social House, has thrived in the Village due to the great food and ambience! Contact our team of Lynn Valley real estate agents to arrange a showing of your favourite houses or condos for sale in Lynn Valley.